An ode to the chocolate shortcake. This is my kind of dessert. 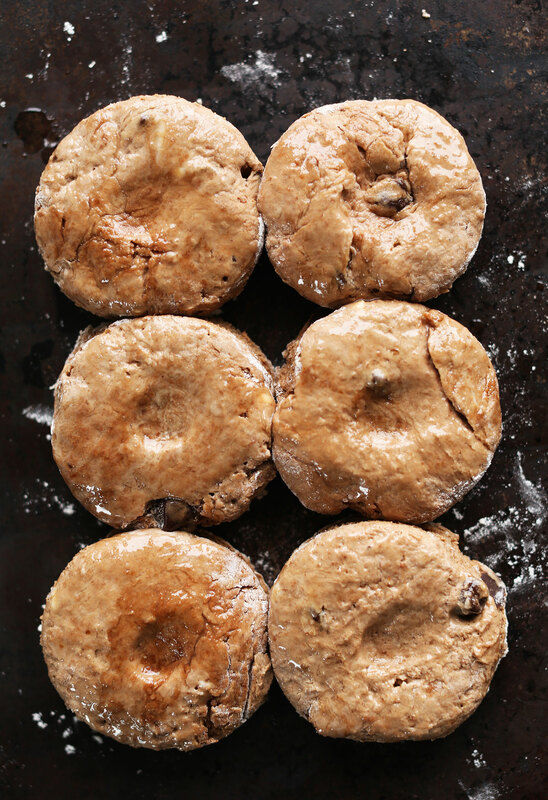 This recipe was inspired by my Best Damn Vegan Biscuits. I’ve been wondering for a while now whether a sweet, chocolate version would work as a shortcake. These shortcakes are quick and easy, requiring just 30 minutes and 1 bowl to prepare. They’re also butter-free thanks to coconut oil and naturally sweetened with coconut sugar! 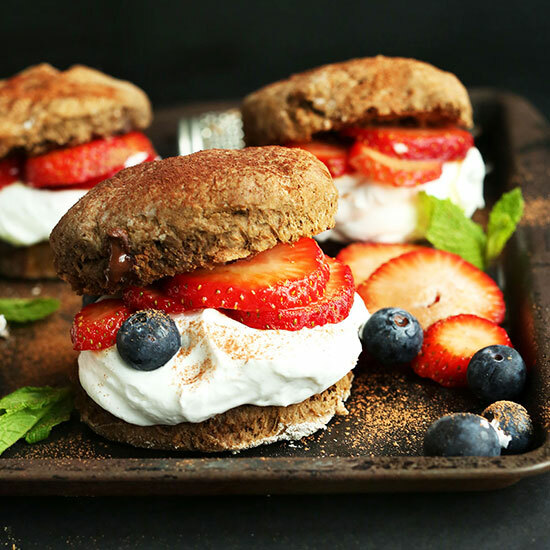 If you’ve never had a shortcake before, it’s essentially a subtly sweet, flaky biscuit/cake hybrid that’s typically served with whipped cream and strawberries – the perfect casual dessert. I’m absolutely smitten with this chocolate version. Though I haven’t tried a vanilla flavor yet, I’m sure that would work well, too! I’ve primarily enjoyed shortcakes at room temperature, but I think these are best warm since the chocolaty is still gooey. If you give this recipe a try, let us know what you think by leaving a comment and rating it! And don’t forget to snap a picture and tag it #minimalistbaker on Instagram. We’d love to see what you come up with. Cheers! Sweet, flaky 1-bowl Chocolate Shortcakes made in just 30 minutes and 1 bowl! Simple, quick, and studded with gooey dark chocolate. Preheat oven to 450 degrees F (232 C) and measure out almond milk and add lemon juice (which will act as buttermilk). Add semi-firm coconut oil (if runny, chill in the freezer for about 10 minutes - it shouldn't be rock hard, but rather scoopable.) or cold butter and use fingers or a pastry cutter to combine until small pieces remain and it looks like sand. 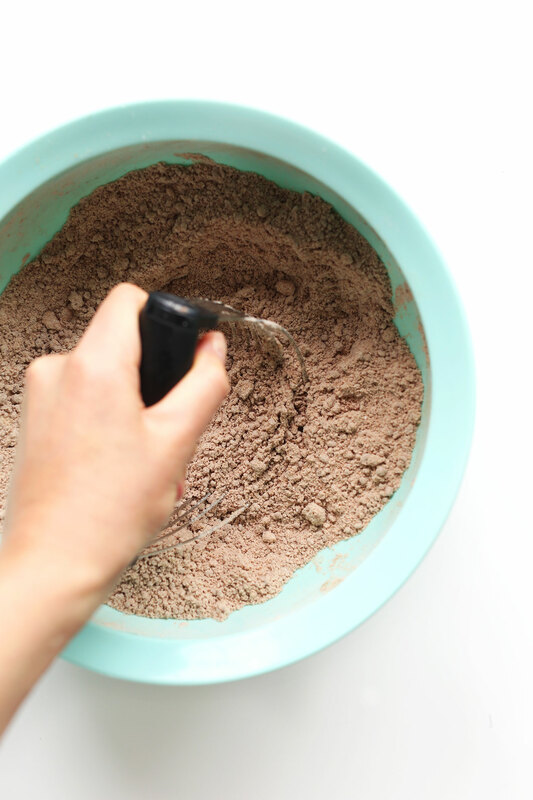 Make a well in the dry ingredients and, using a wooden spoon, stir gently while pouring in the almond milk mixture 1/4 cup at a time. You may not need all of it. Stir until just slightly combined – it will be slightly sticky but not wet. 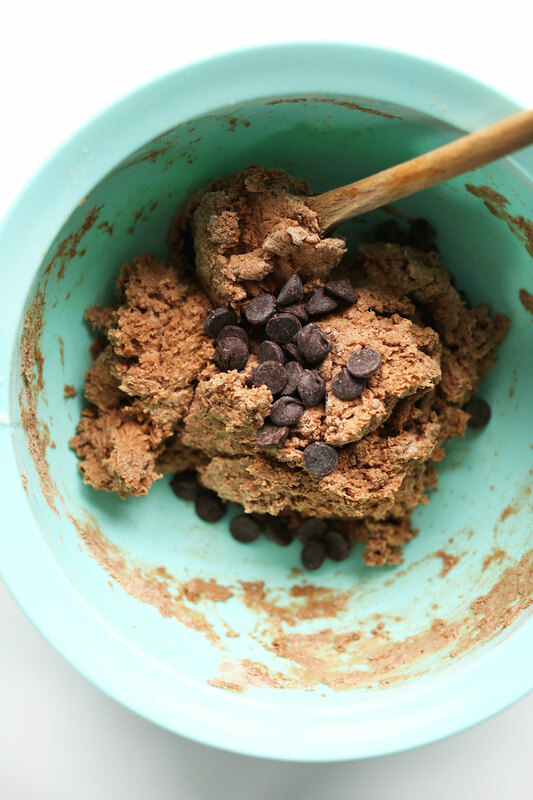 Add chocolate chips and stir once more to just incorporate. Form into a 1-inch thick disc, handling as little as possible, flouring hands as needed. Use a 1-inch thick dough cutter or a similar-shape object with sharp edges (such as a cocktail shaker) and push straight down through the dough, then slightly twist. Repeat and place shortcakes on a bare baking sheet in two rows, making sure they just touch – this will help them rise uniformly. Gently reform the dough and cut out one or two more – you should have 6-7 (amount as original recipe is written // adjust if altering batch size). Brush the tops with a bit more melted coconut oil and gently press a small divot in the center using your thumb. This will help them rise evenly so the middle won’t form a dome. Bake at 450 degree for 10-15 minutes or until fluffy and the tops are firm and the middle no longer appears doughy. 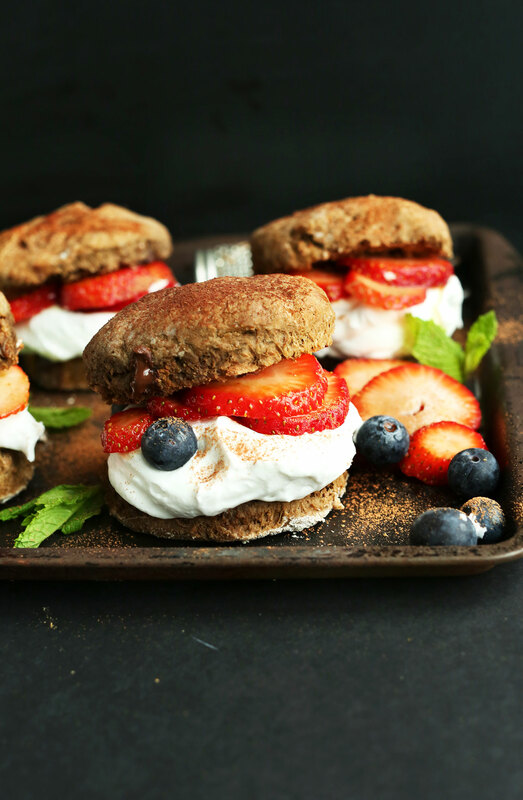 Let cool slightly (for 5 minutes or so), then serve warm with coconut whipped cream and fresh berries. Dust with additional cocoa powder for extra garnish. Let remaining shortcakes cool completely before storing in an airtight container or bag at room temperature (though best when fresh). *Adapted/inspired by my Best Damn Vegan Biscuits. Absolute perfection for my first shortcake of the season. I can’t believe I’ve never had chocolate shortcake before! They puffed up perfectly light and they are chocolatey without being too sweet. Excellent idea and execution. Thanks! excellent as prepared! strawberries and cocnut whipped cream are just the best! What is the best ingredient to substitute for sugar in this recipe? Would xylitol work? My daughter requested strawberry shortcake but she is not a fan of chocolate. would you just drop the cocoa powder? Do you need to make other adjustments to compensate? Hi Dana! I was wondering if using almond flour instead of all-purpose flour would work for this recipe. If not, do you have any recommendations for a different flour? Thanks! I have made these twice now. The first time was with regular flour and out of this world amazing. Very simple and delicious. I shared them with friends and they absolutely loved them. (See my comment above) I made these for a second time tonight only this time I tried them with gluten free flour. I am new to GF baking. I am not a fan of the GF kind. VERY dense and just nothing compared to the real deal. If you have been eating GF baking for a while then you are probably accustomed to the texture and flavor and will probably think it is delicious. Wonderful! Yeah, GF baking is a little tricky. I haven’t tried biscuits or shortbread GF because I fear it just won’t work! 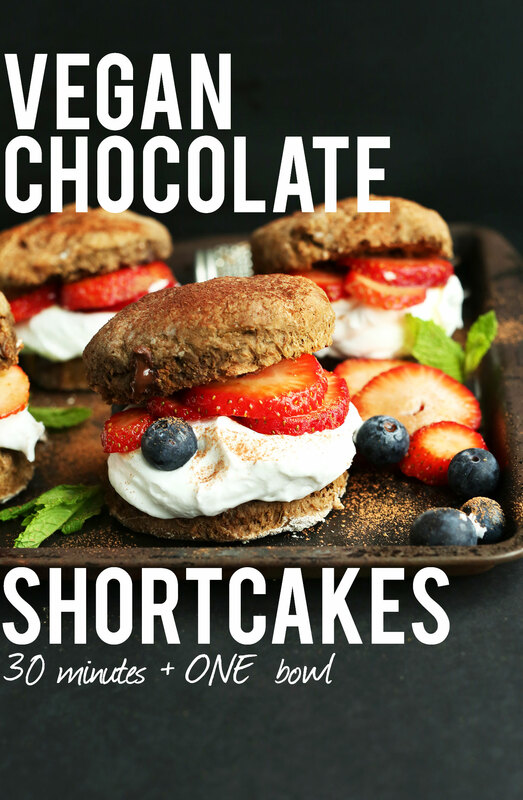 Wow – I must live under a rock, as I’ve never ever seen or had chocolate shortcake before! Fantastic recipe – thanks so much for sharing! I so gotta try this! For the record do know how to spell my last name!! Ugh – old computer! Yum!! These look really good! They look delicious, I want them so now :). Definitely have a try at these! I made these today and they were amazing! I used gluten free all purpose flour and added about 1/2 tsp of xantham gum for good measure. They were delicious. I served them just as suggested with coconut whipped cream and fresh strawberries. Dana, thanks for yet another amazing recipe. my mouth is watering right now!! this looks INSANE!!!! ;-) that chocolate shortcake looks so DE-lish! this is a genius idea so want this for dessert right now! Mmmm these look delicious Dana! I am all for that gooey dark chocolate when it is still warm! LOVE me some chocolate :P and bread too! These look gorgeous Dana! I love the change from a traditional strawberry shortcake, you can never go wrong by adding chocolate! wow yum! I never would have thought to make the shortbread chocolate- genius! 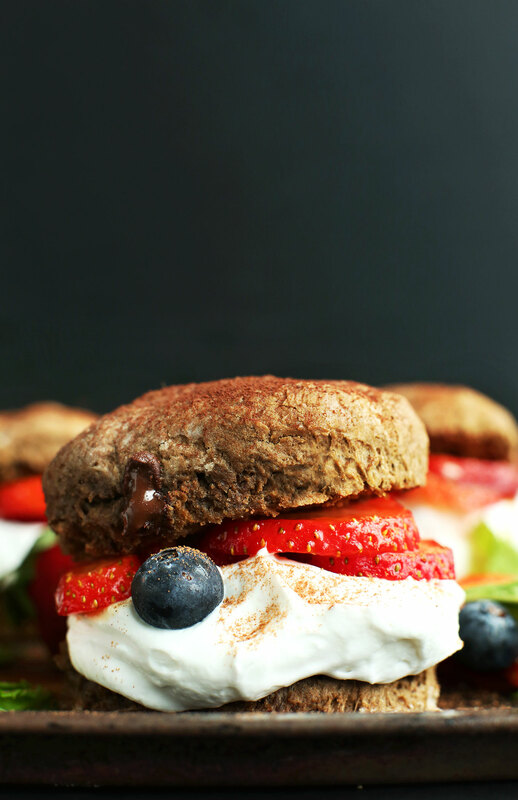 These look amazing, a chocolate shortcake is such a clever idea! One quick question; could I use honey or maple syrup instead of the coconut sugar? 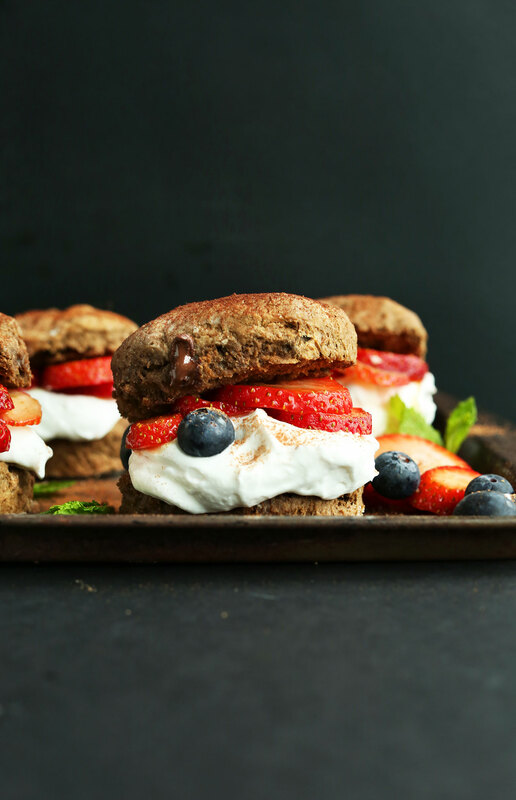 Ooo, warm melted chocolate and a flaky shortcake sounds like utter perfection, pinned! I don’t think so because they would become too wet. But if you give it a try, let me know!